This 27 led worklight can be delivered in 2 to 5 days. It runs on 3 AAA batteries. Orders placed by 2pm central time ship the day they are placed. The 120DB personal alarm is great for personal protection. 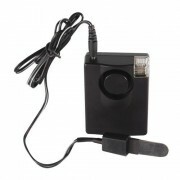 This 3 IN 1 130db Personal Alarm w/Light can be delivered in 2 to 5 days. 3 N 1 BNC Compression Tools by Safety Technology can be delivered within 2 to 5 days. Buy this 4 Channel Embedded DVR today and save. Channel Embedded DVR Embedded DVRs do not use a Windows operating system. This 4 Channel Embedded DVR H.264 Compression Rate, 120 FPS Without HDs by Safety Technology can be delivered within 2 to 5 days. The 4 Channel Wired USB DVR Complete System is available at the Taser Superstore. The 4 Channel Wireless USB DVR Complete System is available for a low price at the Taser Superstore. The 4 in 1 auto emergency tool is clearly a lifesaver. With 4 emergency functions in one, this car emergency tool is the most versatile on the market.